MWC19 Barcelona: The GSMA Mobile World Congress (MWC) is the world’s largest exhibition for the mobile industry, incorporating a thought-leadership conference featuring prominent executives serving mobile operators, device manufacturers, technology providers, vendors, and content owners from across the world. 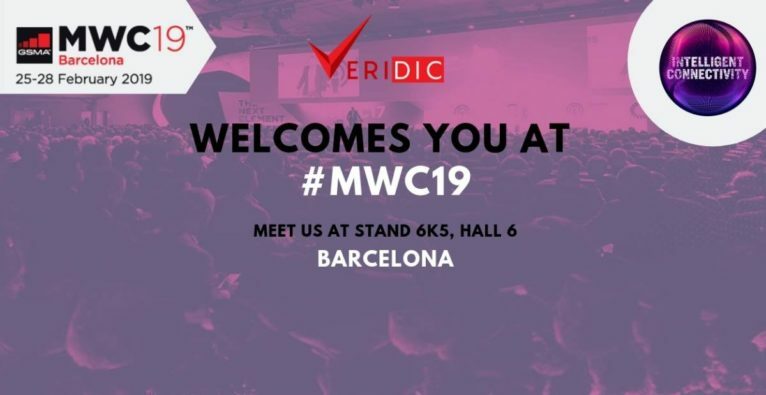 For 2019, considering the extension of the event’s focus beyond just mobile technology, Mobile World Congress unfolded the event’s name to only, MWCBarcelona Veridic Technologies is an end-to-end IT solutions company focused on Product Engineering Services, Enterprise Mobility, and Custom Application Development. With a market projected to reach $70 billion by 2020, artificial intelligence is poised to have a transformative effect on consumers, enterprises, and governments around the world. AI explores the potential of artificial intelligence, and its impact on our lives. As the appetite for AR, VR and other forms of richer immersive content grows, the impact on networks, event venues and overall consumer engagement will increase. Immersive Content examines the challenges, revenue models, and the relationship between consumption and network capacity. Disruptive innovation is woven into every aspect of the event as the speed of innovation and its diffusion continues to accelerate. Companies must be vigilante, as well as, agile to identify and then implement against constant change. Recent scandals have eroded trust in the digital ecosystem. Coupled with the growing introduction and interest in legislation around privacy and the ethics of data usage. Digital trust analyses the responsibilities to create the right balance with consumers, governments and regulators.